Taking college-level courses at his high school was “fantastic,” according to Khalique Rogers, a student at Gordon Parks High School in St. Paul. Both are referring to one of the greatest opportunities, or bargains, Minnesota public schools offer: the ability to earn free college credits while taking college-level courses offered in high school. In some high schools, students are earning a two-year Associate of Arts, or A.A., college degree as they graduate from high school. These courses are part of the overall “dual high school credit” course program available in Minnesota – one of the nation’s broadest set of opportunities. Post-Secondary Enrollment Options, PSEO, Minnesota’s law allowing 10th- through 12th-graders to take free college courses on college and university campuses, is one option. But it’s equally important for students and families to know that in virtually every one of Minnesota’s high schools, students can earn free college credits in classes at the high school. There are many ways to do this, including Advanced Placement, International Baccalaureate, College in the Schools, Project Lead the Way and the CLEP tests. A recent report from the national College Board, an organization that produces and scores the Advanced Placement courses, showed significant progress in Minnesota. The study showed that the number of Minnesota students who took an AP exam before leaving high school nearly doubled during the past decade, growing from 9,256 in 2003 to 17,482 in 2013. The number of students who posted passing scores on these exams also doubled, from 5,882 in 2003, to 11,497 in 2013. Other high schools, including Irondale and Mounds View, are developing opportunities for students to earn an A.A. degree as they graduate from high school. Long Prairie-Grey Eagle High School already has graduated a number of students who have done this. Richfield High School Principal Jason Wenschlag wrote via email: “The CIS and AP classes are valuable to us because we have a lot of really smart, hardworking students who want the academic challenge that those classes provide. Further, some of those classes are designed for students who might not normally take a college-level class, so we are preparing more students for the rigor of postsecondary education.” He reported that this semester, 216 RHS students are taking a College in the Schools course at the high school, offered in cooperation with the University of Minnesota, and 199 students are taking Advanced Placement classes. Colleges and universities vary in their acceptance policies of these dual credit courses. Students who want their credit to “count” toward a college degree should check with higher education institutions that the student is considering to see what their policies are. 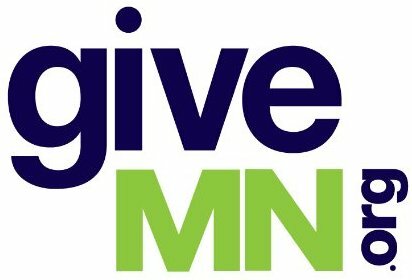 Our Center has a free interactive map online showing the acceptance policies of Minnesota’s public and private nonprofit colleges and universities. Beyond the numbers and reports, it’s deeply gratifying to hear students – especially students who may be the first in their family – describe what it’s meant to take these courses. We have several videos on our website in which students discuss this.